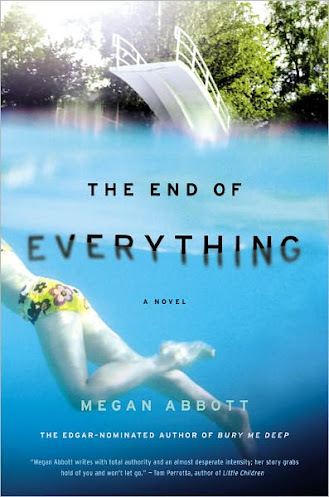 The End of Everything [Audiobook Review] – my books. my life. When 13-year-old Lizzie’s best friend, Evie, goes missing, the community reacts. The adults are afraid. The kids are curious. But Lizzie knows that Evie will come back and that somehow she will help find her. I kept thinking that there was going to be more. After I finished this book, I sat there trying to figure what I was missing. This is not really the story about a girl that goes missing and how the mystery gets solved. It’s about what happens to the people who are left behind. Which could really be interesting, but the people are all pretty creepy and unlikeable. And they all seemed to have this weird crush on the missing girl’s dad. Even his own daughter. It confused me. At the end of the day, I’m not sure WHY I read this book. I know we have story for story’s sake, but sometimes I just can’t really figure out what a book was going for. This book was like that. I am making little sense. I realize this. I am struggling for the words to adequately describe why this book didn’t work for me. Which really isn’t fair to the book or you but it’s what I have. So please go read my good friend Jen’s review as well. Not only does she have a better grasp on language than I apparently do, but she really liked this audiobook, so it will be a good contrast. The narrator got on my nerves. She had to be a 13-year-old girl, so I tried to cut her some slack, but something about it rubbed me the wrong way. It was like every sentence had to have so. much. feeling. It made the actual dramatic moments indistinguishable from the unimportant ones. Everything was emphasized. It led me to expect more than I was getting from the story. If you are going to read this one, I’d probably recommend trying the print. Next Article My Baby Can’t Read. But He’s Already a Book Collector. I also would feel totally weirded out if a daughter had a crush on her own dad! It sounds like this book was not exactly what it was billed as, and that would have annoyed me. I also don’t like super dramatic narrators, and I have given up on audiobooks for this very reason. I think I am just going to steer clear of this one, in both versions! Pingback: April 2012 Books Recap | my books. my life.